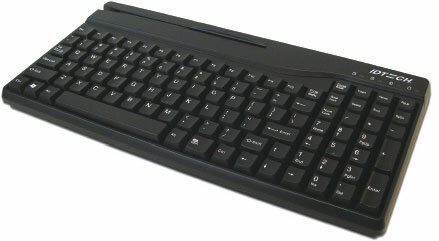 The 103 keys & Windows keyboard layout provides separate keys for the numerical pad, control, and function keys. IDKA-334333B	 VersaKey 230, Compact, Magnetic Swipe Reader Tracks 1, 2 and 3, USB, Black	 Call for price. The ID Tech IDKA-334333B is also known as IDTech	IDT-IDKA334333B	or IDKA334333B	.